In researching for a writing project I came across my old books on Judaism in Spain from when I was living in Madrid. 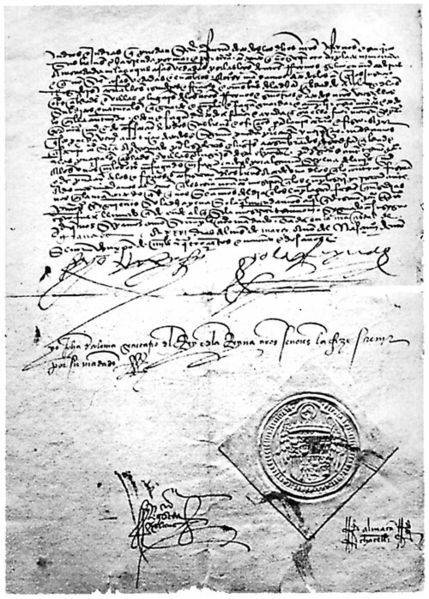 In particular I found my copy of the Alhambra Decree, or the 1492 Charter of the Expulsion of the Jews. The Spanish Inquisition had been underway for a while at that point, and Jews were already living in ghettos. 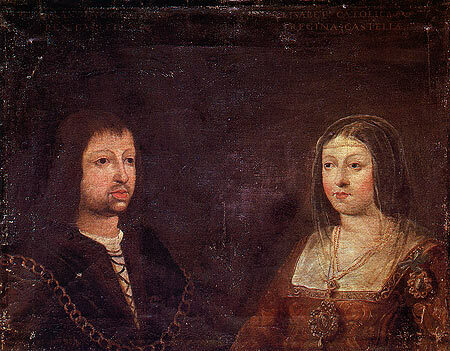 Then Ferdinand and Isabella wrote into law that it would be entirely illegal to live in Spain as a Jew. Jewish families were allowed safe passage according to the law, although there are some accounts of violence and children being stolen and taken into monasteries. Of course any “safe passage” also followed decades of bloody oppression at the hand of an unjust inquisitorial system, so I doubt the exiled Jews regarded it as generosity. …We have been informed that…there were some wicked Christians who…have apostatized from our holy Catholic faith, the great cause of which was interaction between the Jews and these Christians. …Whenever any grave and detestable crime is committed by members of any organization or corporation, it is reasonable that such an organization or corporation should be dissolved and annihilated and that the lesser members as well as the greater…be punished, and that those who perturb the good and honest life of cities and towns and by contagion can injure others should be expelled from those places. The charter follows with a decree that all Jews be forced out of the country permanently within 4 months, with the death penalty given to anyone caught returning or trying to stay. Reading this charter again after a few years felt very strange because, unlike during my stay in Madrid, this time around I saw a lot of connections between Spain and our current situation in the United States. In the very same year that Ferdie and Izzie were sending out ships to “sail the ocean blue” to the Americas, they were expelling an entire group of people over fear of their ideas. I wonder if right now as we send troops to over 150 countries we run the same risks as the Spanish Empire of forgetting the iconoclasts in our own country who are at risk of wrongful imprisonment, expulsion, or simple marginalization for similar fears about what they may or may not believe? We have to be careful to choose love over fear, especially during times when there are so many appeals to our anxiety. That’s what the Jewish founder of the Christian church said, at least.